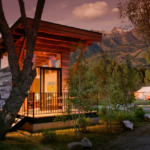 Nature’s Head Composting Toilet has become the “Go To” solution for Tiny Homes everywhere. 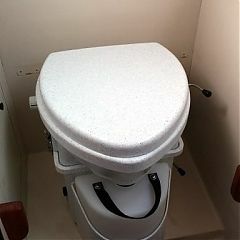 The small size, ease of installation, and reliability of the Nature’s Head has earned it the “first choice” for those looking for a composting toilet for the tiny house they are building or considering. The waterless design requires no water for flushing which not only requires no plumbing, but is also eco-responsible. There is no odor, due to the separation of liquid and solid wastes. Installation is straightforward. We suggest our Vent Assembly for Structures as a low cost and reliable alternative to expensive venting systems.